НА МНОГАЯ ЛІТА, ВЛАДИКО ЛАВРЕНТІЄ! 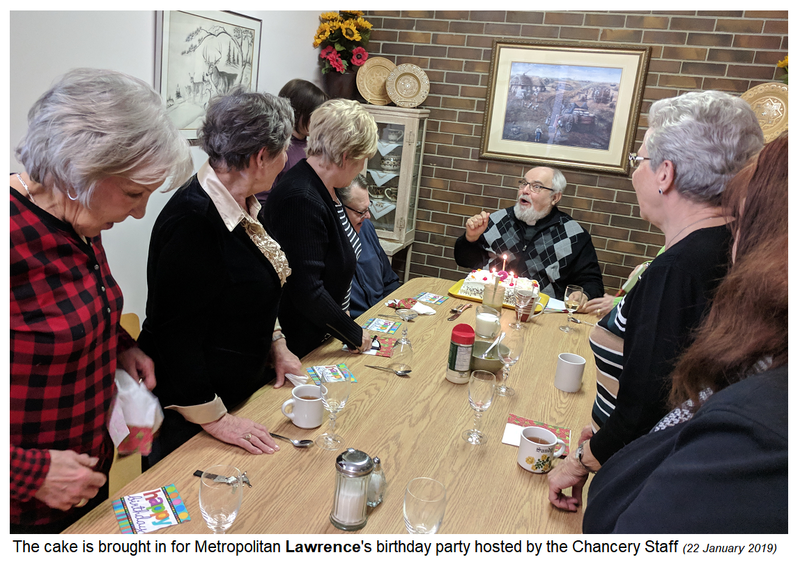 The Chancery staff held a little pre-festive celebration of Metropolitan Lawrence's birthday. 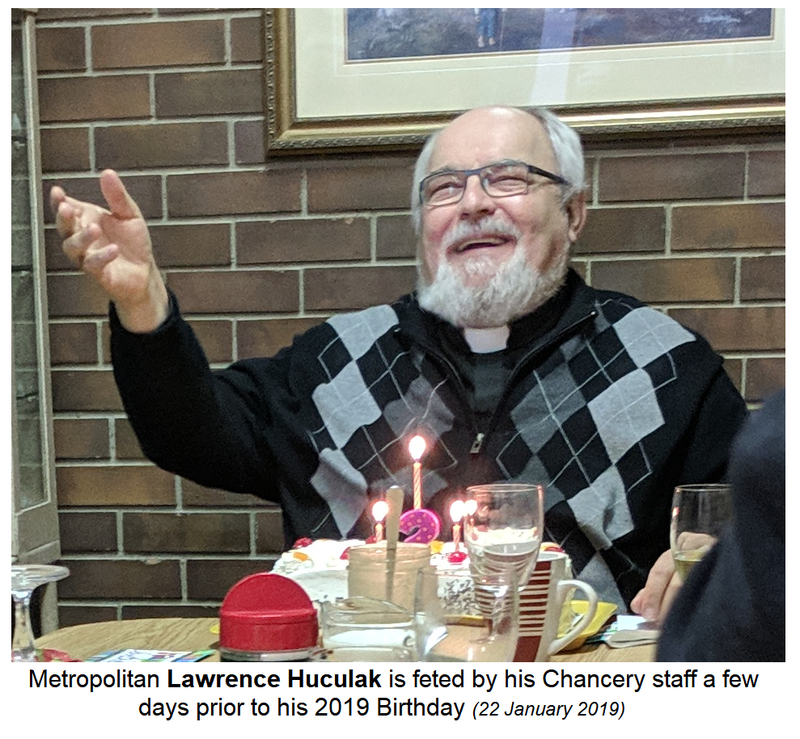 The Archbishop of Winnipeg, Metropolitan Lawrence Huculak, celebrates his birthday on January 25th, but the staff and some guests at the Archeparchial chancery offices decided to throw a little anticipation luncheon birthday party for His Grace. It was a light lunch of mini-pizzas and salad - prepared by a few staff members, especially Sr. Theresa Slota (Executive Secretary), Subdeacon Walter Dudych (Reception) and Natalia Radawetz (Museum). Aside from the staff a few guests were invited - members of the Ukrainian Catholic Women's League executive and Metropolitan-emeritus, Archbishop Stefan Soroka. It was a great lunch and some fun conversation. His Grace enjoyed the gathering which turned out to be the biggest such birthday get-together ever held at the chancery. There still rumours of couple of birthday events still in the works. 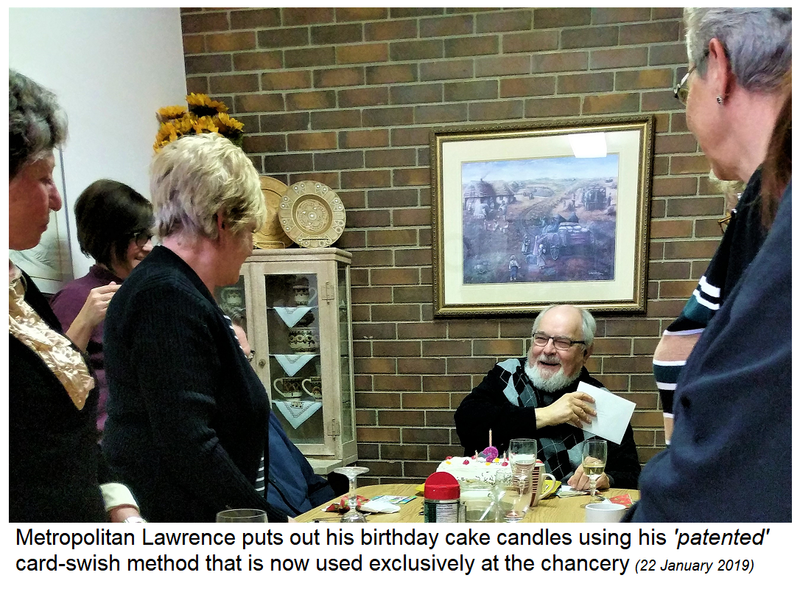 However, everyone will have a chance to wish Metropolitan Lawrence a slightly belated Happy Birthday at the amazing New Year Gala planned for Sunday afternoon, 27 January.